Join the floorball practice with the Social Sciences Association! Floorball is a very Swedish game similar to ice hockey but is played indoors and with balls! The team consists of 5 players and one goalkeeper and the pace is fast with quick substitutions so that everyone gets to play! The floorball practice takes place once a week on Mondays from 16.00-17.00 in Frescatihallen. Usually the group meet up at 15.45 so that they can start playing at 16.00! All levels and all genders are welcome! The team leaders will provide balls and colourful vests. Bring you own floorball stick if you have one, otherwise they can be borrowed at the counter for free! Safety goggles are recommended! The event is a leisure event and insurance is not covered by the university! This week we welcome you to MAKE YOUR OWN COCKTAIL! No, it doesn't mean that you have to mix it yourself; you get to pick between several spirits and mixers and we'll mix it up for you. As always, we also have good food and a chill environment for you to hang out with your friends. Are you curious about the Swedish Semlor and how to make them? 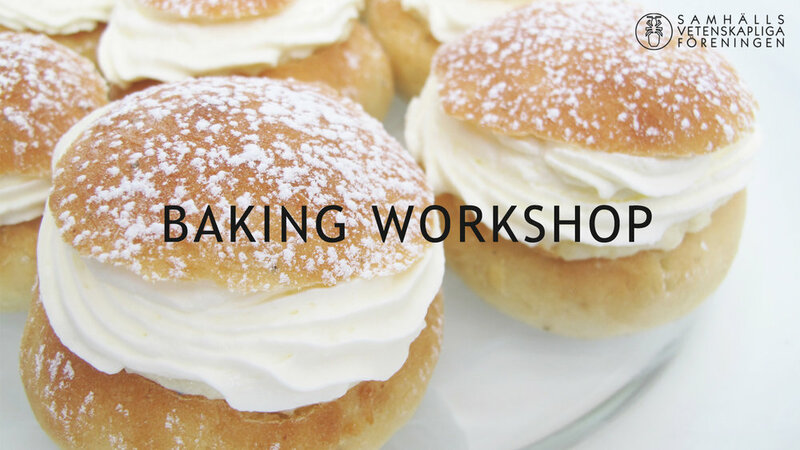 During this workshop you will have the opportunity to learn the secret behind semlor by baking them from scratch. There's limited space in front of the oven, so sign up now. There will be only one workshop at 19:00. 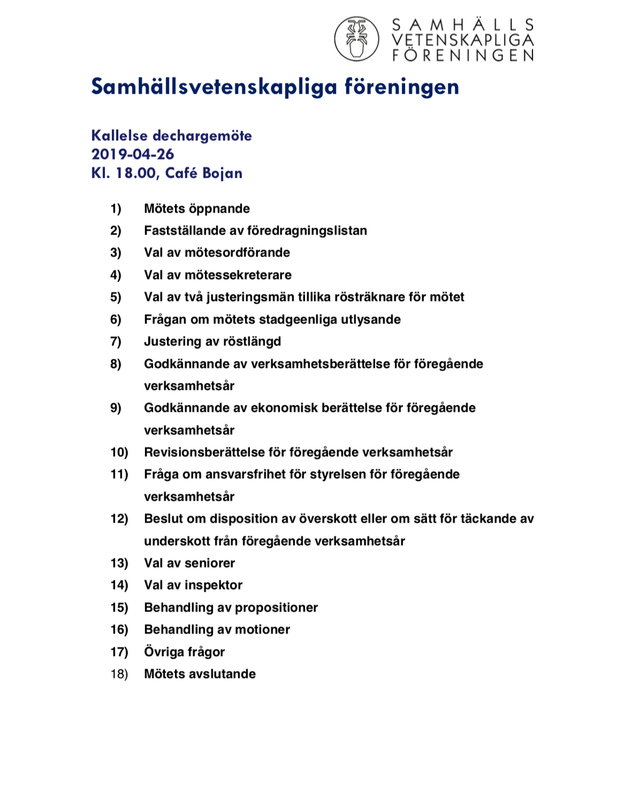 You can pay via Swish (123-182 96 62) or alternatively at the bar of Bojan with a board member on a Thursday night (make sure to talk to a member of the board of the Samhällsvetenskapliga Föreningen). If you fail to pay before the workshop, your seat will be cancelled and given to someone on the waiting list. Please bring your own box to take your semlor home.